CORPUS CHRISTI - Right-handed pitcher Mike Franco of the Tampa Bay Rays is the Mike Adams South Texas Professional Player of the Year. Franco's 2018 campaign will be recognized at the 15th annual South Texas Winter Baseball Banquet, set for Thursday, January 24 at the Omni Hotel in downtown Corpus Christi. Tickets, priced at $55, are available by phone at 361-561-4665 or at the Whataburger Field Box Office. This marks Franco's second stop at the South Texas Winter Baseball Banquet, as he was tabbed a high school preseason all-star as a member of the Moody Trojans in 2010. Franco finished his fourth full season in the Rays system, going 4-3 with a 3.16 ERA and 1.10 WHIP in 41 appearances between Double-A Montgomery and Triple-A Durham in 2018. In what was his first significant stint at Triple-A, Franco held the opposition to a .234 batting average and registered 9.2 strikeouts per nine innings pitched, helping the Bulls to their second consecutive International League title. The 27-year-old did not allow a run in 19 of his 29 Durham assignments. Franco yielded just one marker over his final eight outings for a 0.90 ERA. He boasted a 3.13 strikeout-to-walk ratio, issuing just one free pass in 12 2/3 frames from July 22 through the end of the season. 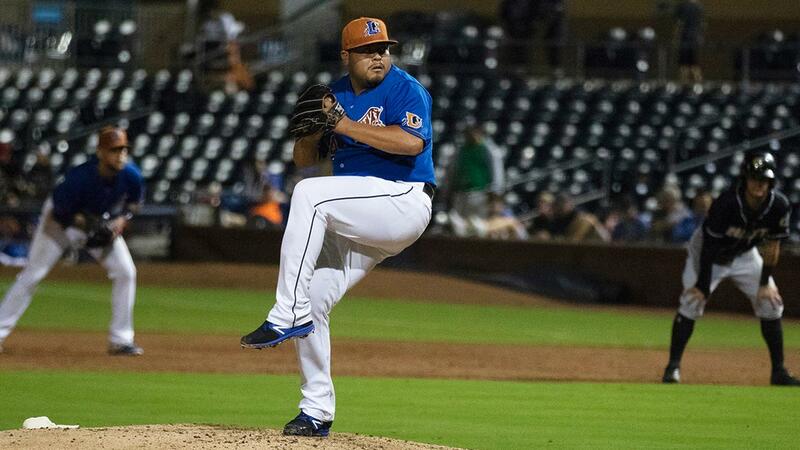 Franco began 2018 as a Biscuit, logging a 2.16 ERA and .130 batting average against in 12 games for Montgomery of the Southern League. The Corpus Christi native fanned 20 and walked six in 16 2/3 innings. The circuit managed just seven hits. Selected by Tampa Bay in the seventh round of the 2014 draft out of Florida International, Franco stands 19-14 with a 2.48 ERA over 149 professional appearances, including 19 starts. With the Trojans, Franco was a Class 4A state champion in 2007 and state runner-up in 2009. As a senior in 2010, the right-hander went 15-0 with a 0.85 ERA. In addition to Franco, the South Texas Winter Baseball Banquet will pay tribute to lifetime achievement award winner Don Sanders, area collegiate players of the year, and 60 student athletes from 26 Coastal Bend high schools.